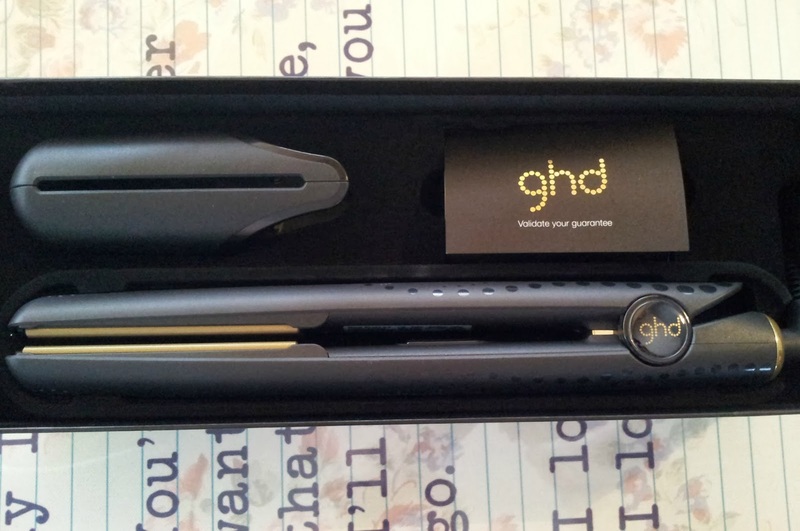 You guessed it, I got new GHD's - GHD standing for 'Good Hair Day' and they sure deliver on that. My old GHD's gave up the ghost just after Christmas but I had them for seven years - SEVEN YEARS! crazy isn't it. Hubster purchased mine as a push gift just after I had Cole and keeping in mind this was around the time all the fake GHD's were going 'pop' Me not realising it was the fake ones that were bursting use to use mine with one eye closed and an 'oooohhhhh' kind of look on my face but not anymore. As a stickler for spending less and getting more I literally tried every other brand before allowing hubster to purchase my first pair from a local hair salon. I still remember my first sweep of the hair with my babies I really couldn't believe how awesome they were. So hot but they straightened and left my hair really soft and glossy. Prior to getting the GHD's I *blushes* used a iron and a towel to straighten my hair (I'm so ashamed). As soon as mine broke I headed to Argos as we have one about 15 minutes away, I will never buy them online due to the sheer amount of fakes out there and with Argos you know they're always going to be real or you can return them if there's issues. 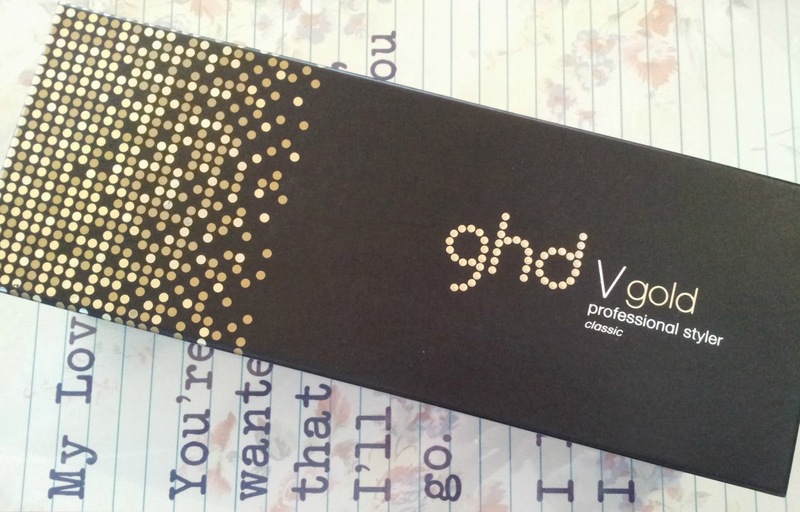 So here they are, these are the GHD V Gold Styler. You get the styler (of course), the adaptor plug, the guarantee and the new kid on the block - the sleeve. So what the heck's a sleeve bit (not it's official name)? Well it's a handy gadget that you slip onto the straighteners which keeps the hot plates clamped together. This means you don't need to worry about them touching your carpet or furniture and causing terrible burns or accidents - genius really. To make use of them you simply switch on with a single button which then heats them up. Once they reach the optimum heat they beep to let you know you're good to go, it seriously takes seconds so there's no waiting about - I am not a patient lady so these are such a time saver. The also have a safety function in that they turn off after thirty minutes if you accidentally forget to switch them off (yup done that before, luckily I remembered before heading out of the door). I do plan to follow up with some GHD hair-inspiration because you can do a lot more than just straighten your mane with these beauties. These cost £129.99 but are now available for £119. If you want to get in on the hair action you can purchase your own GHD's which are available here. I know these may seem a tad expensive but I promise they are worth every penny as they straighten even the curliest and thickest hair types and leave your hair glossy and manageable. I won't ever use another brand of straightener simply because other brands don't compare with heat, results or style. 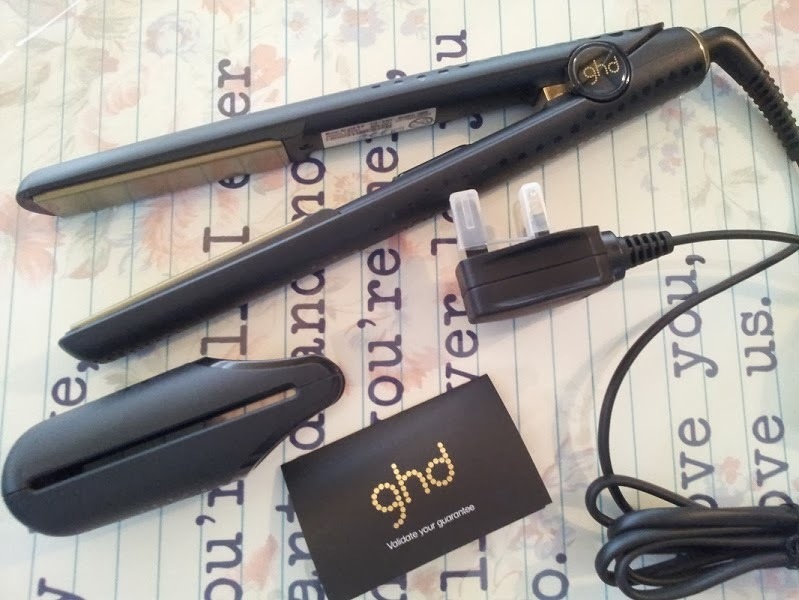 My GHD's died when I was travelling around Australia, after eight years. I've never quite had the extra £100 to purchase another pair, so I've been using some from Toni and Guy since. They're no where near as good as GHDs though.